Nitin Chhoda emphasizes that a physical therapy practice should be aware of all the regulations and laws that are connected within the practice. Not everyone can be an expert, but assigning a dedicated staff member to focus on regulations, laws and the changes that are made will be helpful to your practice. 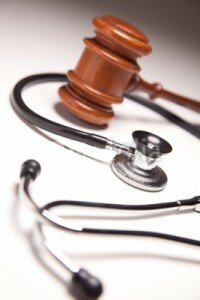 Health care practice management is also the realm where legal issues come into play. For a large hospital or clinic to keep a lawyer on staff is not uncommon, and in many ways it makes sense to always have a legal specialist available to answer questions about the rights of the hospital and their patients. However, for a small practice it is much harder to justify having legal representation on staff. There are many horror stories of legal problems causing bankruptcy for a medical practice. Health care practice management should include some basics about the dangers of making legal decisions for which the outcome is unclear. However, because of the focus on patient lawsuits, health care practice management teams often forget to think about regulatory legal blunders. Understanding HIPAA regulations is one of the most important jobs of health care practice management. While mistakes in following HIPAA regulations can be damaging, they are also some of the easiest mistakes to avoid, if the health care practice management team is aware of common mistakes that are made. The most common problems that health care practice management run into focus around liability for fraud, mishandling overpayments, violations of privacy, and not responding to Medicare inquiries. Third-party payer audits and certificate-of-need process should also be comfortable topics for health care practice management consulting professionals. HIPAA violations can be avoided if at least one member of the health care practice management within your practice understands HIPAA thoroughly. It may seem like a very big and ominous law, so expecting everyone to know everything will be challenging. But at least one person should be or become a HIPAA specialist so the practice has someone to ask before procedures and standards are set that will violate HIPAA regulations. 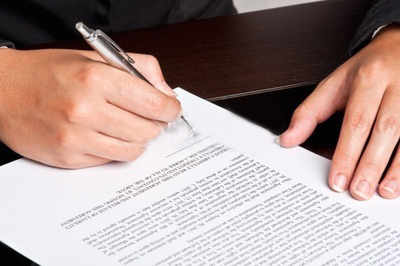 Legal blunders relating to contracts are also very common. Naturally, health care practice management professionals are on high alert about any contracts, especially with staff, physicians, and clinicians. You can also run into trouble with non-compete clauses if you work with physicians who are providing services for more than one practice, especially in-office ancillary services. To avoid legal problems, it is best to negotiate all contracts in full, taking the time to review all aspects that may introduce conflicts within the practice. At the first sign of a problem, make sure that communication is open and honest so that changes can be made before a problem becomes a legal issue. The HITECH Act will also pose a lot of risk for health care practice management, as the punishments for not following HIPAA regulations are more severe as a result of the HITECH Act. Additionally, funding through the HITECH Act is expected to increased oversight so that infractions are more likely to be discovered. Regulatory oversight can be the least of your worries if you have focused on improving your knowledge of the regulations. Managing a health care practice can include complex facets, and being aware of risks to the practice should be a high priority. The best way to avoid a risk is to understand what constitutes risky behavior.